95 years ago the people were saner in Minneapolis. 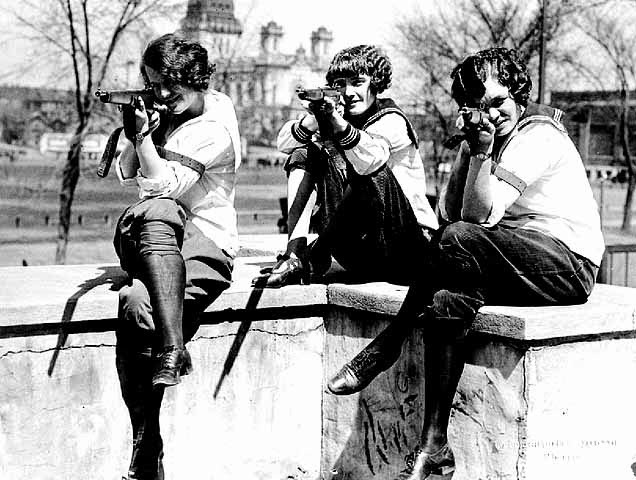 The Minneapolis Park Board had once sponsored a girl's rifle team. If three teenage girls were seen in public today with their target rifles it would be treated as a major terrorist incident. And every hoplophobe would come out of the woodwork to denounce the girls and their parents as homicidal criminals. Contrary to what they claim this is not progress.